Outstanding road handling. 1.6 EcoBoost engine has lots of torque. Practical and comfortable cabin. One of the best hot hatches money can buy. Only available in three-door form. Rear seats can be a bit tight for large adults. Interior styling feels ordinary. High incidence of clutch and DMF failure. Ford has always had a knack for creating hot hatches and few models can match the history and sheer performance of the diminutive Fiesta. Indeed, over the past 40 years, the little Ford has spawned a number of highly capable cars, with the XR2, RS Turbo and previous generation ST establishing themselves in the annuals of hot hatch history. 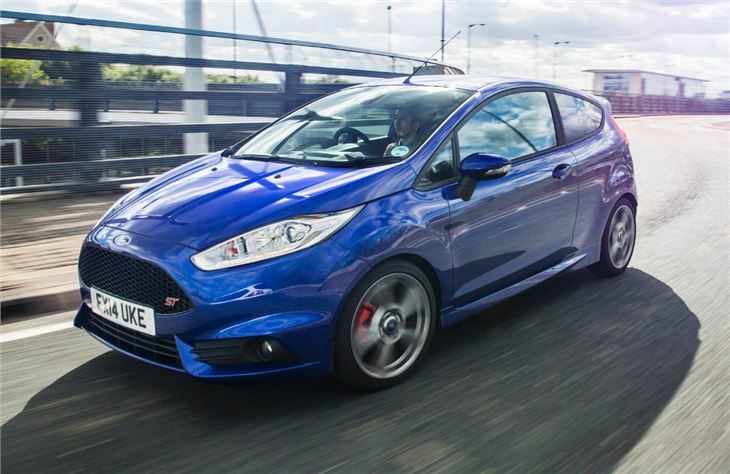 Now it’s the turn of the sixth generation Fiesta to get the high performance ST treatment. 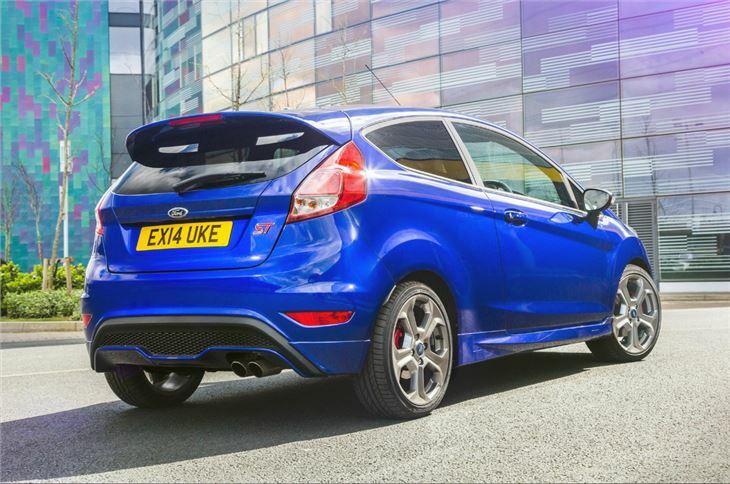 On the outside the Fiesta ST follows the styling of the Focus ST with a large gaping grille in the front bumper and a sports bodykit while at the back there's a body-coloured diffuser, twin exhausts and a roof spoiler. 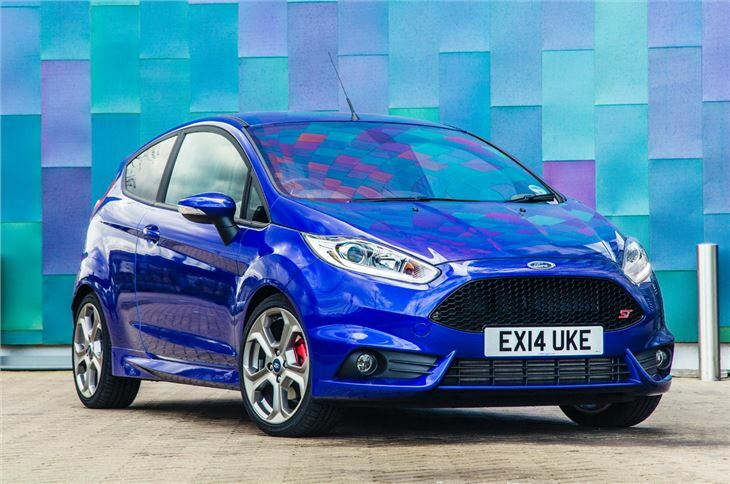 As you’d expect it gets a number of upgrades over the standard model, with sports suspension, uprated brakes and a potent 1.6-litre EcoBoost engine that produces 182PS – 20 per cent more power than the previous Fiesta ST. The hot Ford is also leaner and cleaner than its predecessor, with big improvements in economy and a 20 per cent drop in CO2 to 138g/km. Fuel consumption is also better, with a claimed 47.9mpg. However, technically speaking, the Fiesta ST is one of the least powerful hot hatches on the market and its 0-62mph time of 6.9 seconds is slower than the Peugeot 208 GTi and Renaultsport Clio. 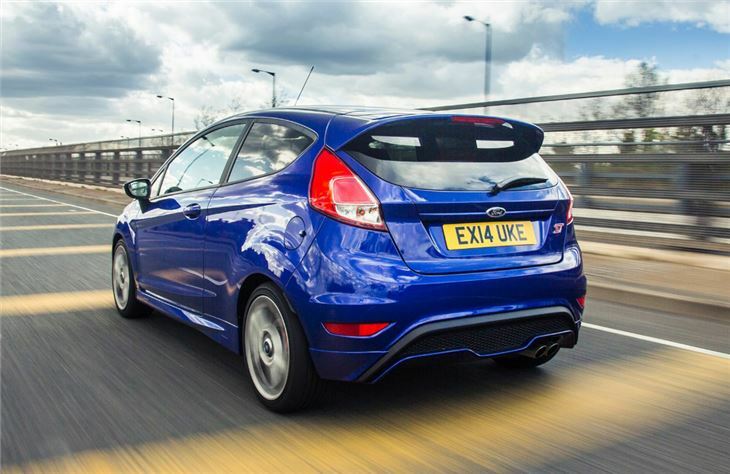 But don't be fooled into thinking the Fiesta ST is a slow car - it isn't. 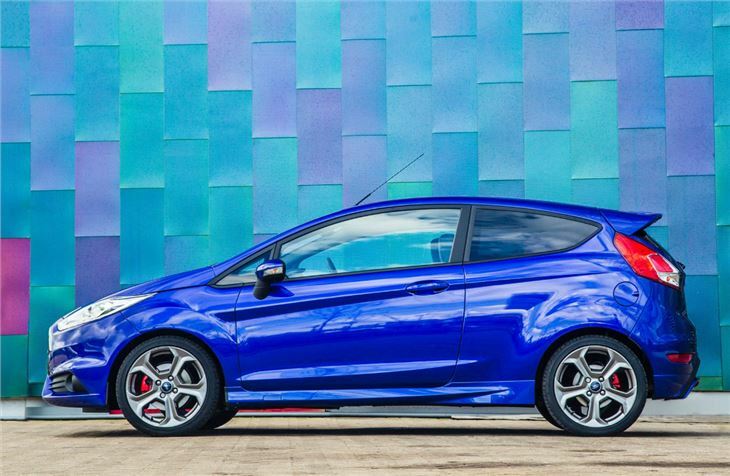 In fact, the latest ST is one of the fastest Fiestas ever to emerge from the ST stable. 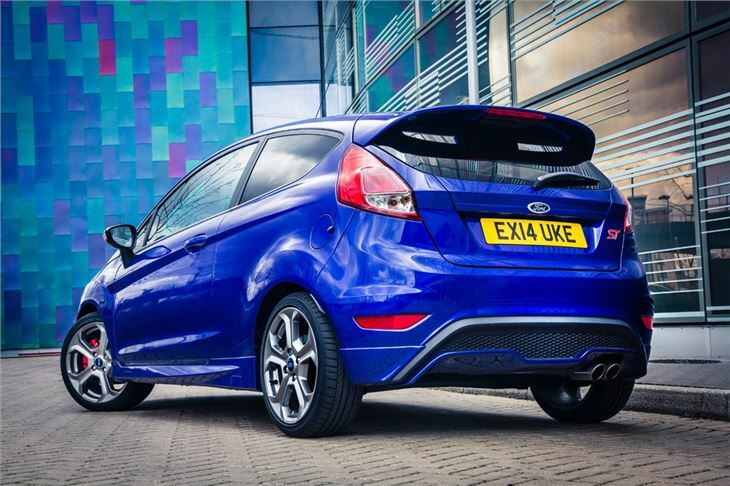 On the road the Fiesta ST is extremely accomplished, with excellent acceleration and near perfect handling and grip. Unlike some of its rivals, the steering is razor sharp, with plenty of feedback, while 290Nm of torque ensures you’re never short of pace. 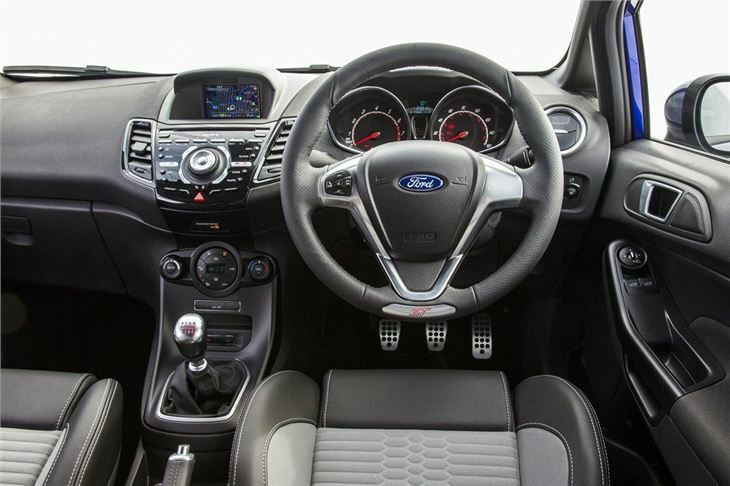 In fact, in our opinon, the Fiesta ST is the class leader in the small hot hatch market, due to its impressive performance and unparalleled flexibility. It's cheaper, more useable and better rounded than all of its rivals, while its improved economy means it isn't too expensive to run on a daily basis.